I’ve cast on a number of new projects over the last two weeks. 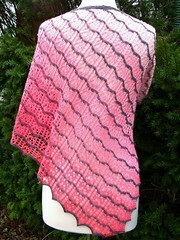 The first pattern is from the new “Jane Austen Knits” special-edition magazine from Interweave Press. 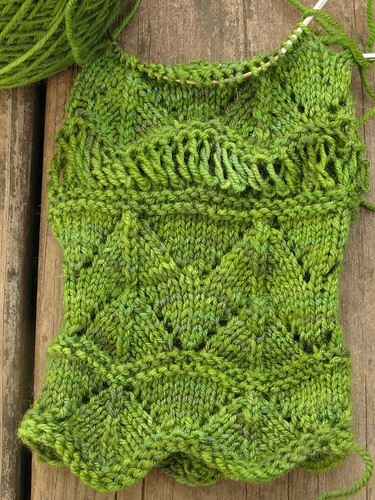 I’m making the Kensington Mitts with a skein of tonal green Dream in Color Smooshy. 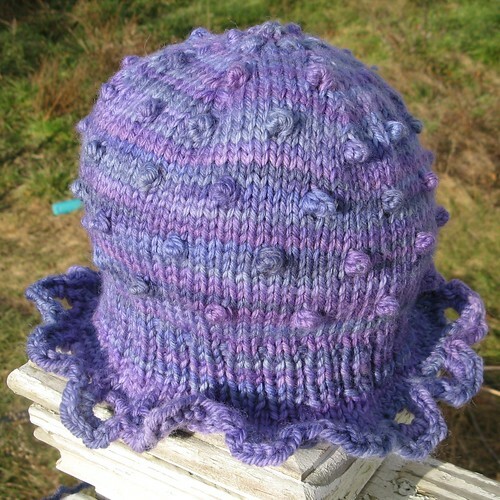 I also cast on (and finished) this adorable Bubble Hat using some Swish Tonal left-over from my Marilla Shawl. Meg, if you’re reading this — this hat is for Susan, of course! Have I mentioned that I recently started working at the Hub Mills Store, now in Billerica, MA? 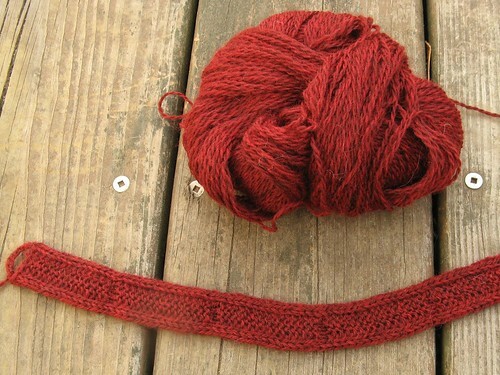 In addition to the retail work, I’ll also be teaching knitting there. And, making samples for the shop! 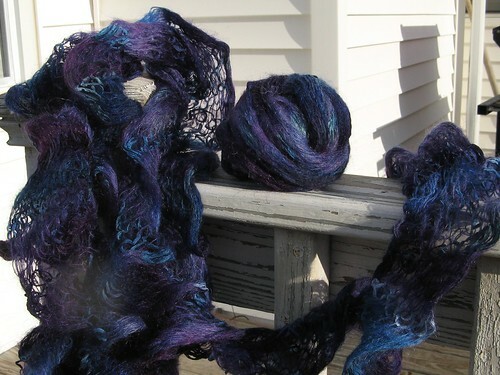 While we were setting up the yarn in the new shop, a shipment of new yarn came in, with packs of an unusual fiber called Bodega. I took some home to make a sample for the store — it is very, very interesting! Below, you can see my first attempt at a Bodega scarf, using the pattern that came with the yarn. I wanted something fuller, so I started over yesterday … just wait until you see the jellyfish awesomeness of the new version. Last but definitely not least, I cast on for the Advent Garland that Frankie Brown is offering for Christmas 2011. Every day of December until Christmas, Frankie is releasing a new tiny ornament pattern, and a bunch of my knitter friends are all doing the ornaments together.